Android Revolution | Mobile Device Technologies: HTC One 4.19.401.11 update in all flavours! HTC One 4.19.401.11 update in all flavours! 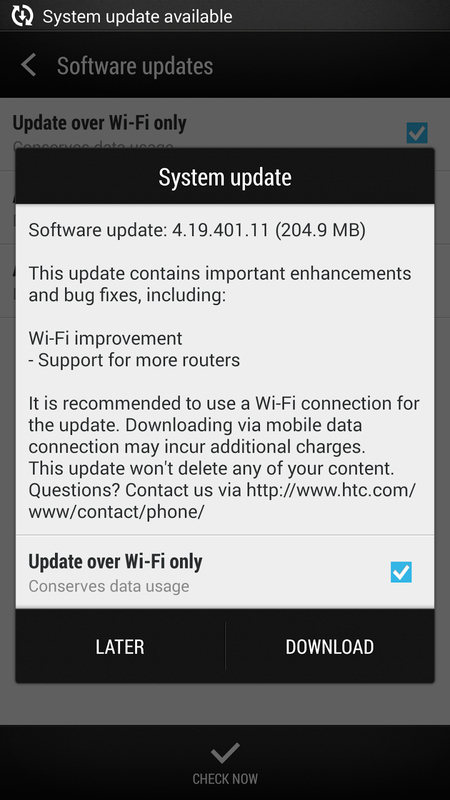 Today the newest 4.19.401.11 OTA for the HTC One has begun rolling out. Due to the official OTA changelog it should fix Wi-Fi problems that some users were having since the Android KitKat update (added support for more routers). To satisfy all HTC One users, as always I've prepared both Android Revolution HD based on latest 4.19.401.11 OTA update (link) and also stock system dumps (link). Apart from that under this link you can find original 4.19.401.11 OTA update .zip file for both 4.19.401.8 and 4.19.401.9 software versions. HTC One (M8) gallery and more details!